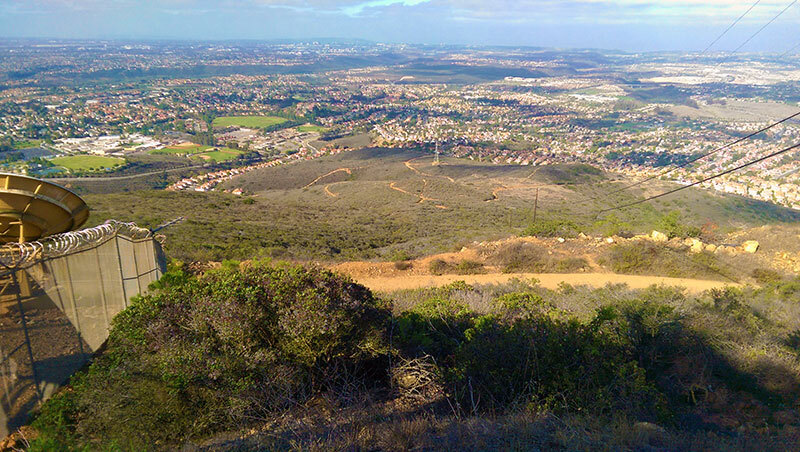 Black Mountain Miner’s Ridge Loop Trail is a quick, easy hike that offers a view unlike any other I’ve experienced in San Diego. 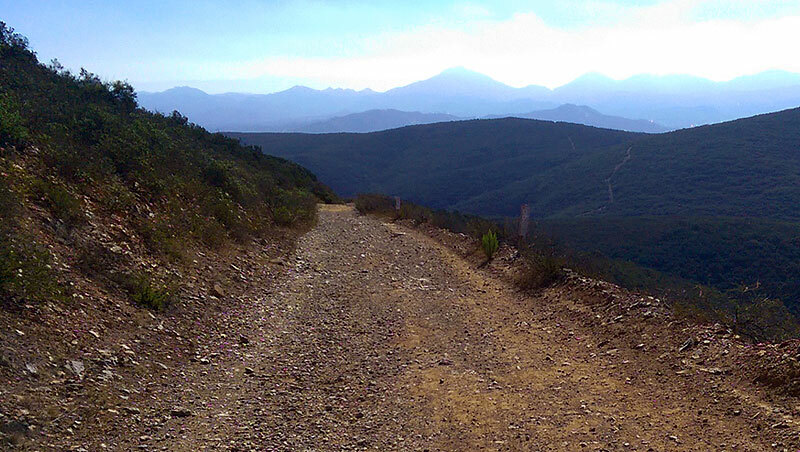 The trail is well-traveled and enjoyed by hikers and mountain bikers alike. There’s no fee to enter the park, which is always a bonus, and there’s plenty of parking available at the trailhead. 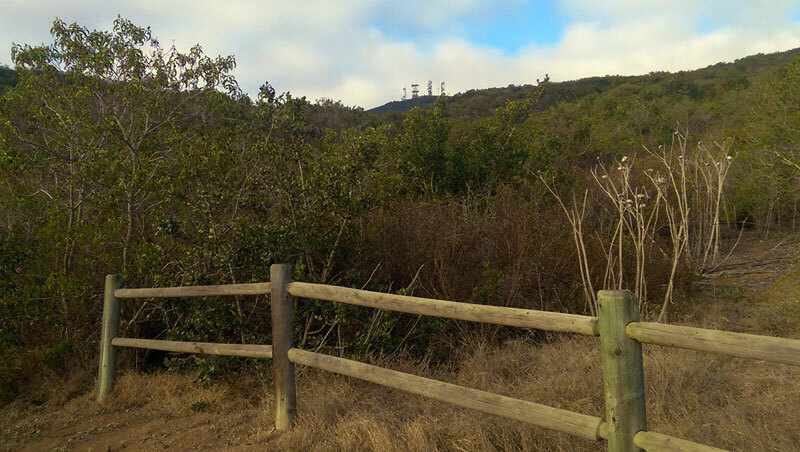 The trailhead for Miner’s Ridge Loop Trail is near the base of the northeast face of the mountain, just south of 4S Ranch off Carmel Valley Road. 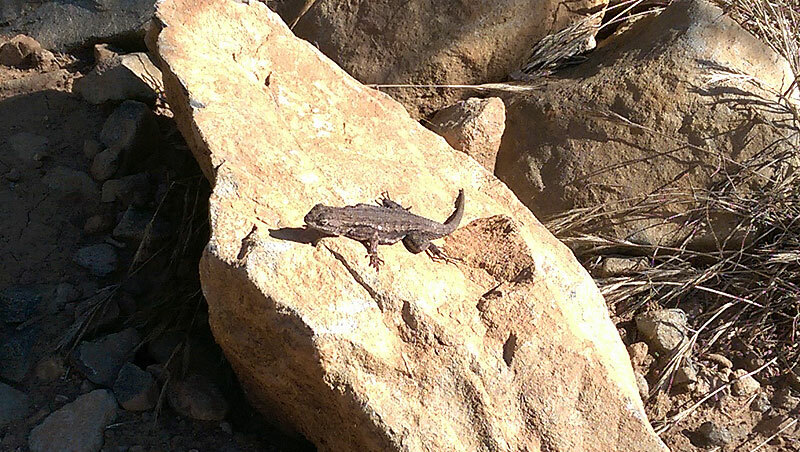 The narrow access road that leads to the trailhead parking lot is easy to miss if you’re not paying attention, so keep an eye out as you get closer. 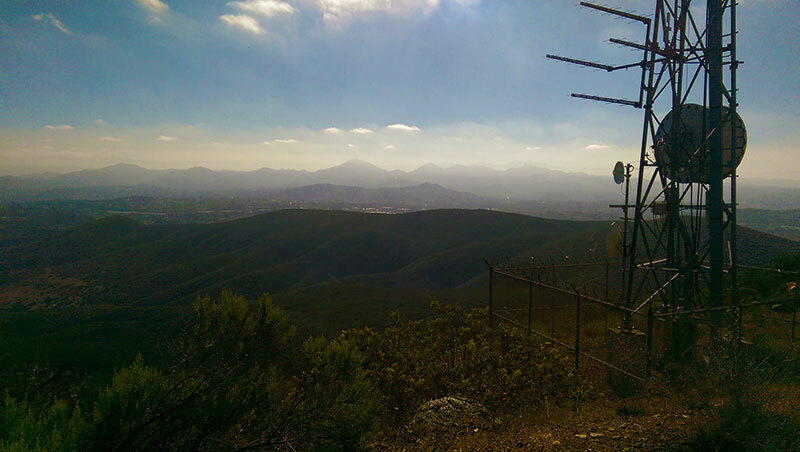 The eastern ridges of San Diego are clearly visible from the trailhead, as is an unobstructed view of the cell towers reaching from the top of Black Mountain Peak. 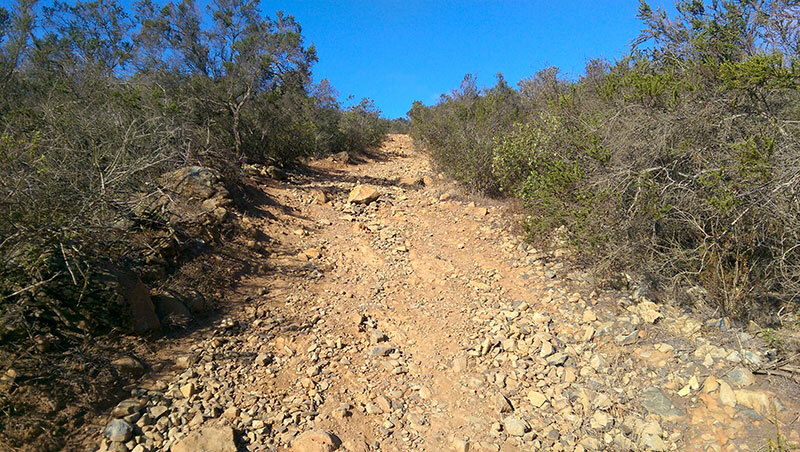 Shortly after setting out, the trail begins to narrow and become uneven, giving you the sense that you’re a lot further away from the city than you really are. 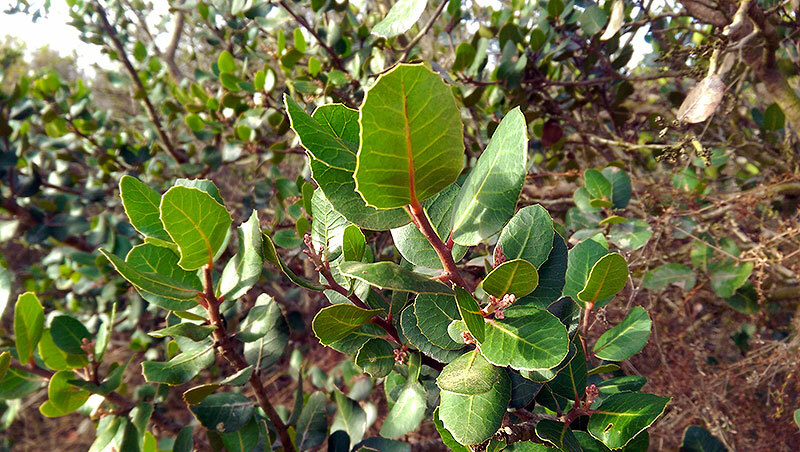 The chaparral surrounding the trail thickens, growing well overhead, even creating tunnels in places. Just past the one mile mark another trail appears, offering the option to take a detour towards Glider Point. Glider Point is a steeper, more direct route that leads to Black Mountain’s lower, secondary peak first before making its way up to the summit. 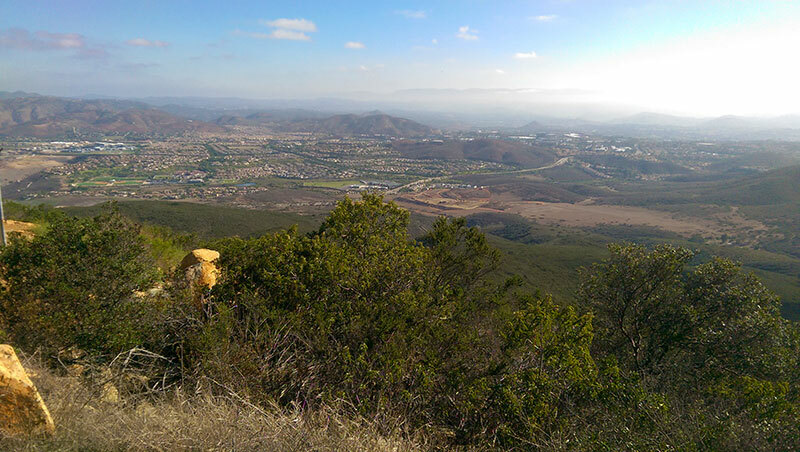 Continue along Miner’s Ridge Loop Trail until you reach the Nighthawk Trail junction. From there it’s a brief 0.8 mi. ascent to Black Mountain Summit. 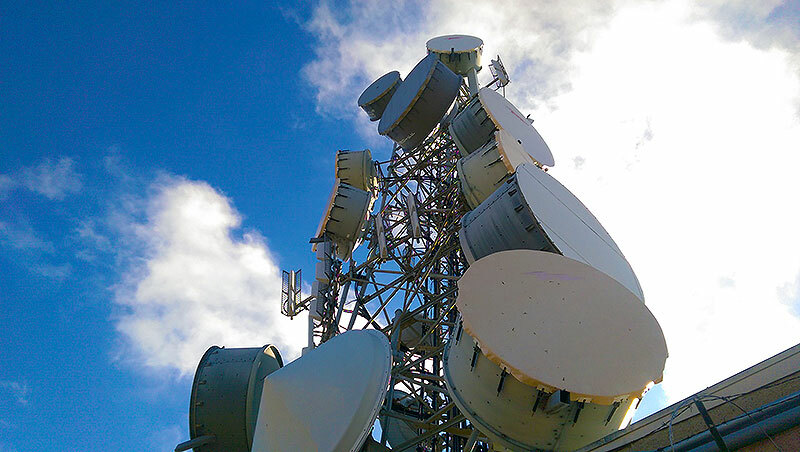 Upon reaching the summit you can’t help but notice the overwhelming dominance of the cell towers. Relax and let them fade away into the background as you take a look around. Soon you’re able to take in the beauty of the surrounding mountains, including Mt. 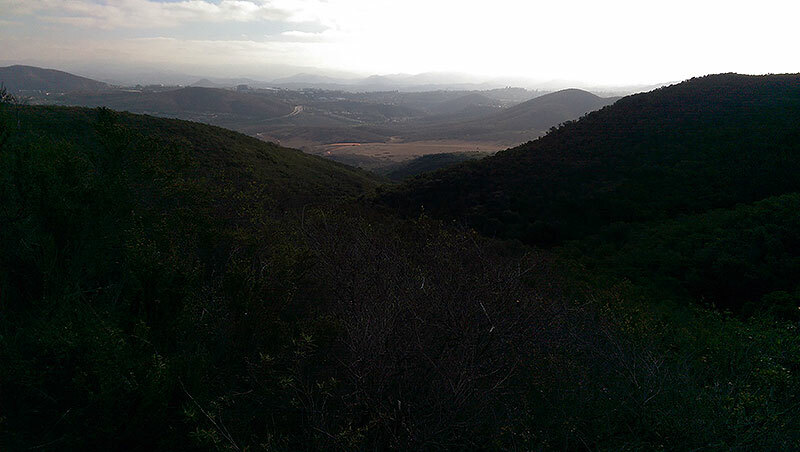 Woodson and Iron Mountain, visible in the distance, and the real payoff for this hike becomes clear. 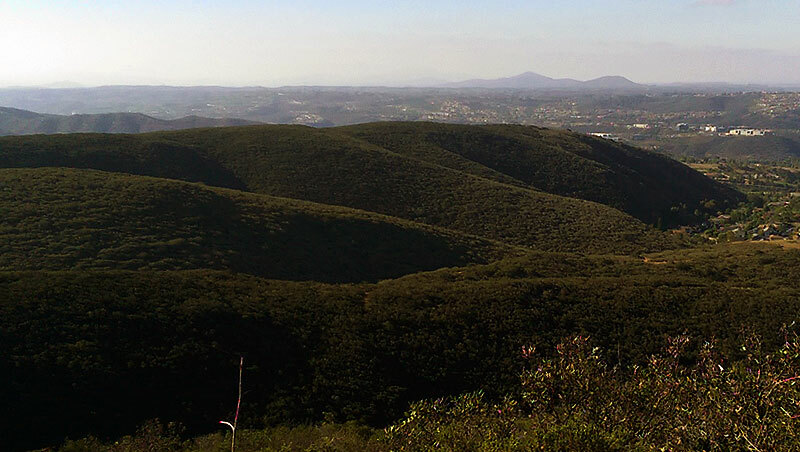 The Miner’s Ridge Loop Trail takes hikers along a winding path that gradually ascends to the summit of Black Mountain. If it’s a quick, easy hike with big payoffs that you’re looking for, then you can’t do much better than Black Mountain. 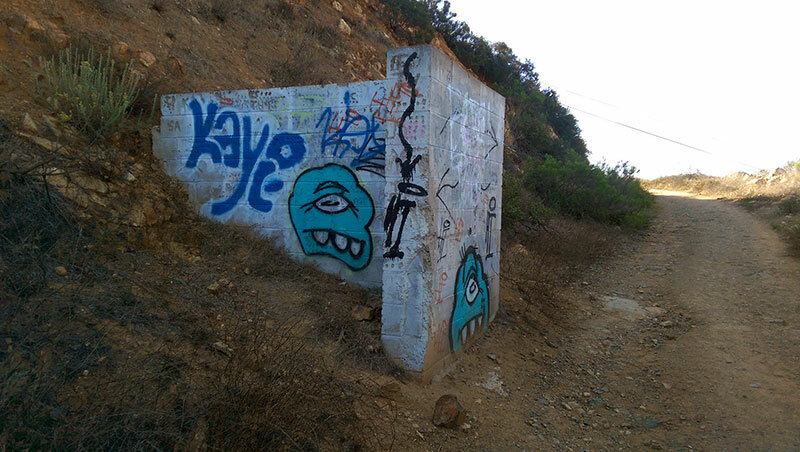 Black Mountain Open Space Park is free to visit. 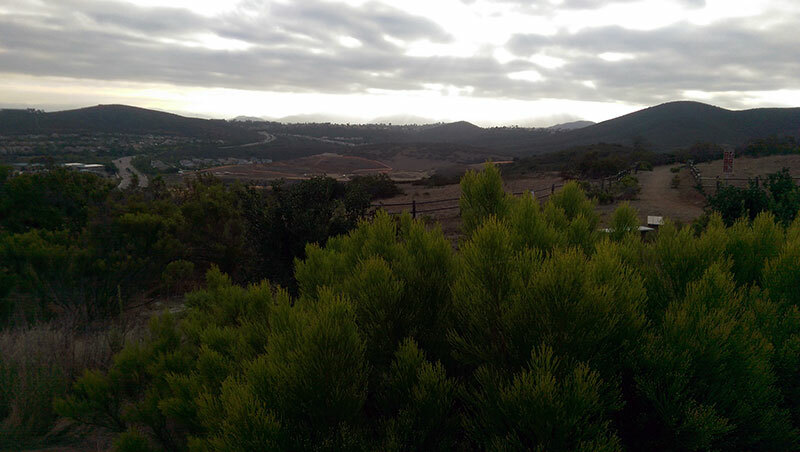 It’s centrally located in San Diego and easy to access. 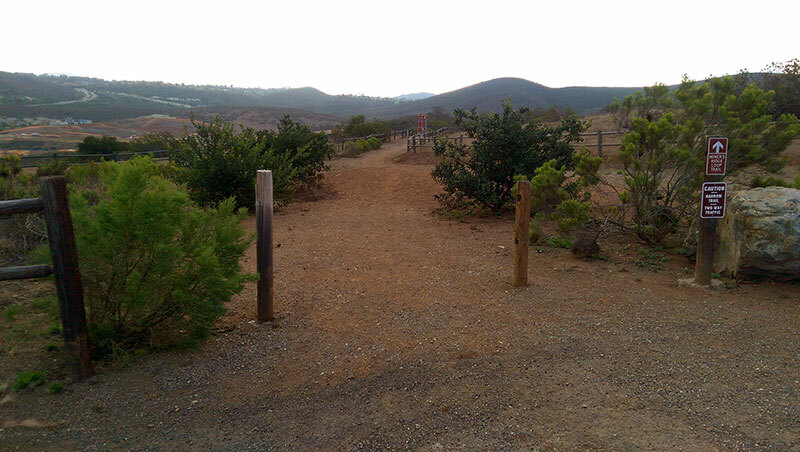 The trails are open to hikers, runners and mountain bikers, and leashed dogs are allowed on the trails as well. 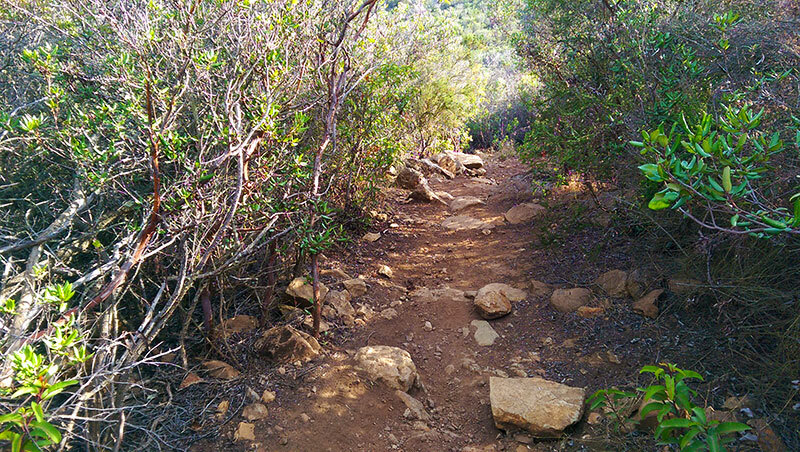 There are a number of trailheads surrounding the peak and a variety of options for getting there. In the end, it doesn’t matter which trail you choose to get there, just get there, because the views are unforgettable. We were surprised to find that we were not the early birds we thought, despite arriving at the trailhead at 7am on a Monday morning. It’s apparently a popular way for the locals around the area to start their day. At the summit, we ran into several hikers and a couple of mountain bikers. But with so many trailheads and trails leading to the summit, we only passed one other hiker on the trail before completing our hike. 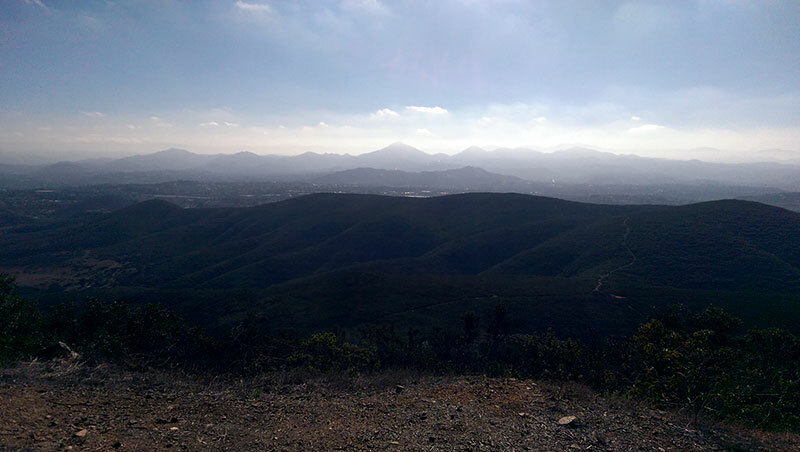 There many far more interesting and challenging hikes in San Diego, but I have yet to find a view that compares. It could have been the time of day that we arrived at the summit, or the scattered clouds and low angle of the sun. Whatever the circumstance, the views were stunning and truly worth the effort!